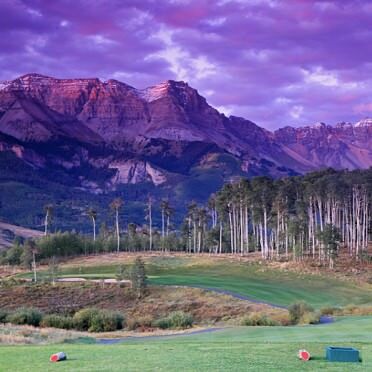 Telluride Ski & Golf Club in Telluride, CO, is a par 70, 6,574 yard mountain resort course that is surrounded by the highest concentration of 14,000 foot mountains in the country. Being located in the mountains not only adds beauty, but the high altitude also helps for longer ball striking. From Hwy 550 south of Montrose or north of Durango, take Hwy 62 west from Ridgway. Turn south on Hwy 145 and proceed to Mountain Village Boulevard and turn left. Follow and then turn left on Vischer Drive.